Although we would all surely like consistency in our compass, it doesn’t do much good when the arrow consistently points nowhere. So, for my inactivity over the previous year or so, I apologize. But today, I hope, will be the start of something new and fairly regular on this blog. Before graduating from the University of Nebraska at Kearney I had the idea to put on paper as many of the journalism lessons I’d learned as possible. This idea was spurred in part by my internship at the local newspaper and the assignment that went with earning college credit for that experience. It was also something I desired to do as a capstone project for the honors program, but alas I opted for an easier route instead. Now, I would like to revisit that idea. My goal in reopening this idea and my blog is somewhat selfish. I have enjoyed my experiences so far and reliving them only reinvigorates my work today. It also helps me to remember things that I have forgotten or allowed to settle out of sight in my mind. But ultimately, my goal is to share what incite I have gained with, well, anyone who’s interested. Hopefully it is helpful, or at least entertaining. In sharing my experiences I do not aim to impress anyone, or somehow toot my own horn. Although a few of the stories I will share are of my successes, most come from my failures. As many people wiser than me have noted, we often learn more from failure than success. This has certainly been the case for me, but ideally you can learn from my mistakes without making them your own. Tenisha, where are you? Everybody’s looking for you. I know, because they all call me. I fielded my second misdial today at about 8:45 am. Thankfully I was already up, so it wasn’t quite the hassle it could have been. I was only at the DMV. The wrong number calls, and texts have been pouring in since about Christmas time. That’s when I got my new phone, which came with a new number, and a bit of adventure. Back then I would get a call about once a day. At 7 a.m., midnight, during econ or political thought class, I’ve been called by these people at all hours of the day. Usually, the calls start with a husky and somewhat disgruntled voice on the other end of the line asking, “is Tenisha there?” Unfortunately for the off-target callers, the calls end with me saying they have the wrong number. It wasn’t always so simple. Fielding calls aimed at the previous owner of your phone number can open up some ethical dilemmas. For example, when someone I assume is a friend of Tenisha’s sends a text asking her to meet up, what is my responsibility? Do I have to get out of bed and send a reply explaining she has the wrong number? Or, should I accept the invitation and head to the bars myself? For the record I did neither. Friends aren’t the only ones who call. They are the exception, like sprinkles atop a fountain ice cream cone from a machine that isn’t full of ice cream. I’ve learned a bit about the woman I succeeded from her friends, but it’s the other calls that explain why the number is mine, instead of hers. It might offend some of my less pale friends, but the name Tenisha comes with certain connotations. Whether her name, in combination with the calls from friends and others denotes a definite lifestyle, background or physical traits is far from certain. But I am pretty certain of my picture of Tenisha, and let it suffice to say I came across few like her in the small Nebraska town where I grew up. Despite any trivial differences, like the ones I just mentioned, it’s hard not to feel some sympathy for Tenisha. Fielding calls at all hours of the day is a bit stressful for me, and I can only guess at the reason behind them. Knowing that reason, I’m sure, makes the endless barrage of calls unbearable. Now, I’m now Sherlock Holmes, but deducing how my new number came into my possession is still elementary. When people dump a phone number you can be sure of one thing, either they got a new one, or they didn’t. My guess is that Tenisha falls into the latter category. The fact that her friends didn’t know she got rid of her number, and the string of calls from what I assume to be collection agencies aroused a theory that Tenisha was having some financial troubles. A few months after I got my phone, a text all but confirmed that theory. It was an offer for a paycheck advance loan. In my intro to philosophy course we were asked if TV is good or bad. I’ll save you the debate and tell you the answer was no. It’s what we do with it that is good or bad. Technology is great, except when it’s not, and that text was far from great. It was a trap. 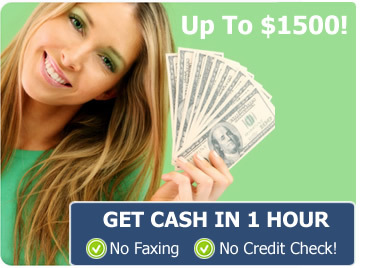 Paycheck advance loans are often handed out with few stipulations, other than the interest rates which typically range between 15 and 30 percent and are charged monthley. Paycheck advances like the one offered in that text charge unbelievable interest rates, the kind of rates that are known to leave a shoeprint on your throat or guide you to the nearest bankruptcy court. It reminds me of sharecropping. Instead of working the land freely, sharecroppers worked another’s land, and often couldn’t make enough money to pay off the debts they acquired purchasing farming supplies or wasteful delicacies like food. The sharecroppers were trapped on the land, forced to work it for someone else’s profit without any hope of escape. Tenisha’s in a similar boat. With a paycheck advance loan she will likely be charged so much interest she can never get out from under the debt. Especially if she already has debt to begin with, which I assume is the case for many lining up for these advances. So, she’s free to work and live but someone will be collecting a great deal of her money until the day she dies—then they’ll take the rest. There was a time when Christian’s weren’t allowed to loan money on interest. In a moral world, despite your religion, this type of restriction would likely still exist. Instead we’ve made a business out of charity. The ropes people throw to those in debt don’t pull them from their hole, but instead bind them further. I hope Tenisha isn’t bound like that. The normal line in this neck of the woods would be, you reap what you sow. She should have worked harder, and not gotten into this situation. Maybe that’s true, but in my experience wrongs like this are never the product of a single individual. Instead they represent the failings of a great number of people. It’s funny how easy it is for a person to convince themselves they’re better than someone else (the kind of funny that brings tears to accompany laughter). Take the paycheck advance crew for example. After giving out a loan to someone they know cannot repay, they view the person with disdain when the loan is not repaid. Even after the original sum is repaid the interest will balloon the debt, and the debtor will be viewed as a person of lesser character or worth. Who is the wolf and who is the sheep in this scenario? Is the creditor the innocent sheep being cheated of his money, or the prowling wolf, hiding behind pages of fine print and collecting interest? Is Tenisha taking advantage and borrowing money she has no intent to repay, or the victim of a complex system aimed at sucking her dry when she is most desperate? The old saying goes, “Fool me once, shame on you. Fool me twice, shame on me.” With all due respect to the many who have spoken this saying, and the valuable lesson it has to teach, I don’t entirely agree. If you fool someone once, shame on you, but fooling them twice is just as shameless. Victims shouldn’t be the only one to learn a lesson, even if the injustice is legal. In Tenisha’s case, I hope she is the one that pulled the wool over her creditor’s eyes. I hope she escaped from the trap that snared so many others. I hope she’s somewhere peaceful, with a close group of friends and a warm smile for company. As for me, I don’t care if those calls ever stop. Each time someone calls asking for Tenisha is just a reminder that they haven’t caught her yet. In my art appreciation class we are studying architecture, and as one of our final assignments we had to drive around town to various addresses and describe the buildings. I have lived in Kearney for almost four years not, and I was seeing many of these homes for the first time. There are a variety of houses that do not fit the cookie cutter mold I expected. I will not go into detail and describe the architecture, because I’m no expert. Instead take a look for yourself. I took pictures of most of the homes with my phone on my tour. I couldn’t get the videos of the reenactments into the commentary. There’s one pic from our attempt. Enjoy. In my political science class, human rights and democracy in Colombia, we discussed this quote, “One must always try to be as radical as reality itself.” I did not give it much thought at the time, but on my way home from the class trip to Bogota I began to understand, and realize I had not lived up to the ideal set by Lenin. While in Colombia I heard some gruesome and appalling real life stories and could not bring myself to write about them. I plan to fix that here. 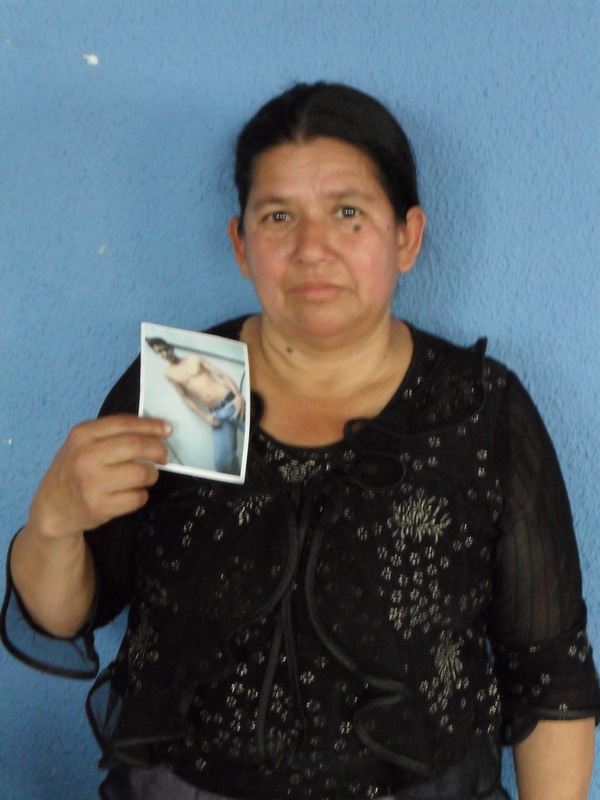 Maria with a picture of her murdered daughter Ana. Maria spent the day wearing her daughter’s picture like a necklace. It was the only way she could keep Ana close, and keep her memory alive. 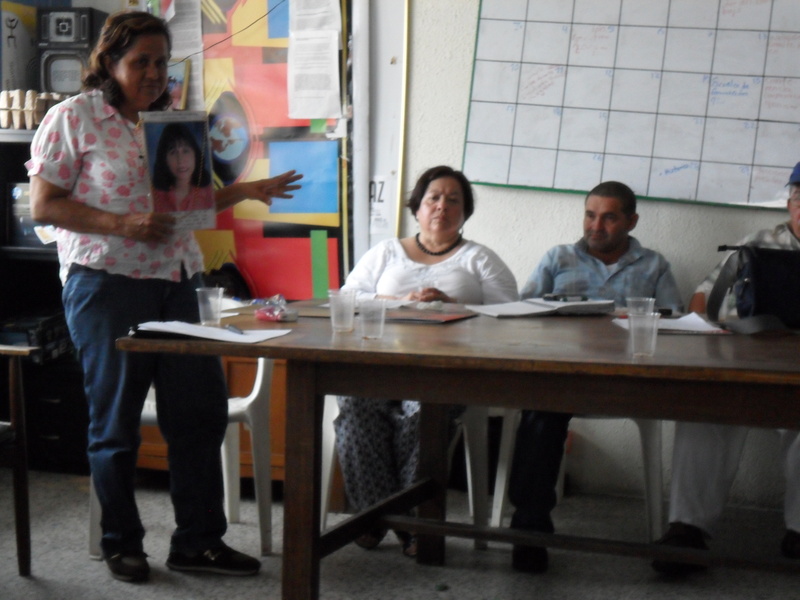 Maria walked to Villavicencio that day to share her daughter’s story, which was cut short by the Colombian military. Ana wanted to be a doctor, and she was smart enough to do it. She left her home in a rural area of Colombia to attend medical school, and after she finished, Ana returned to provide care for members of her community. They were some of the tens of millions of Colombians who live on less than $2 a day, and as such were subject to physical and sexual abuse at the hands of members of the military. Despite her vulnerable position, Ana would not keep quiet. She traveled around Colombia to voice her concerns. In a country that has been fighting an insurgency group since the 1960s, and a variety of armed groups have emerged travel can be difficult, and it was not made easier when Ana became pregnant. Despite the human rights abuses by paramilitaries, the military, and the insurgency groups Ana continued to voice her concerns until she met the abuses she was fighting first hand at a military checkpoint. Maria recounted the event from her investigation. Pregnant Ana was pulled from the car and gang raped by the soldiers. A knife was plunged into her stomach and her unborn baby was removed and killed. The soldiers proceeded to cut Ana into pieces before finally decapitating her. When they finished, they played a game of soccer with her severed head. 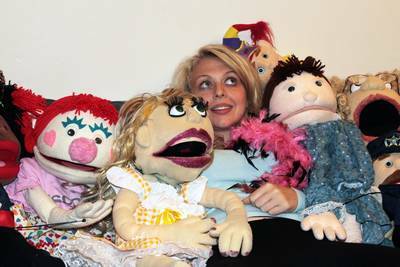 Listening to Maria’s story, in the hot humid upstairs room with a circle of people, it seemed unbelievable. But person after person stood up to share their tear filled stories. Victims were often selected at random, with much less provocation than in Ana’s story. Many lost family members who were tortured and killed, simply for being in the wrong place at the wrong time. At the Colombian equivalent of the FBI these stories were confirmed for our group. Colombia passed a peace and justice law that allows paramilitary members to lay down their guns and confess to all their crimes, in exchange for a maximum jail sentence of around 7 years. At one point in our tour we were able to step into a back room where a law officer was watching a paramilitary member’s confession on closed circuit television. The confession was translated to me by one of our Spanish speaking students. Paramilitary members were sent to convince the population of a small village to move, and used violent force. They rounded up the villagers and forced them all away from the village into the forest. Because the Colombian Navy had a group in the area the paramilitary group had to be quite and couldn’t use guns. Instead they got metal pipes and beat the villagers to death to make less noise. The particular paramilitary leader this person was describing was called ‘the German.’ He earned the nickname for his use of ovens to burn the remains of his victims, as was done in Nazi Germany. Everything you have in Nebraska, we have in the Netherlands. That is what my advisor told me when my plane landed in Amsterdam. I guess he was right, somewhat. I did eat at a Burger King in the airport. Of course, I had King Wings a fast food take on chicken wings, with a side of curly fries. The Burger King in Kearney doesn’t have those, but they were amazing. Fast food was not the only thing I found with a European twist. 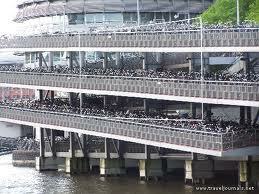 Outside the airport was a giant, multi-level parking garage filled with more bicycles than I had ever seen in my life. Stationary bikes are pretty exciting, and after a semester studying in the Netherlands I found the Dutch can do way more with two wheels than just park them. Over the approximately four months I spent in Middleburg the bike culture caught my attention. 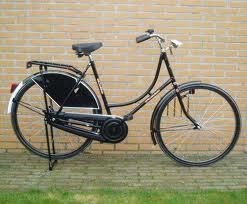 Dutch bikes are more of a city cruiser style, as opposed to the more familiar mountain or racing bikes. Passengers can ride on a small rack over the back wheel that is a more suitable spot for a case of beer, and is often used for just that. Despite the humble appearance, the Dutch bikers I saw were flashy in their own way. The ease my hosts displayed on two wheels left a constant impression, but three events stuck out from all the others. The earliest, and in hindsight most mundane, of these events happened in my first weeks in the country, only a block from my house. I was walking to the school down a skinny brick alley with several of my housemates. We were lost in discussion, walking shoulder to shoulder and unknowingly blocking the entire path. He must have approached silently because the biker’s hand on my shoulder was my first clue he was there. With one hand he guided my out of the way like a small child and peddled away, only looking back to deliver a ‘pardon me.’ That someone had the balance it must have taken to slide me out of the way was shocking. A romantic reunion at Middleburg’s train station set up the next feat. A college-age guy came to the train station to pick up his girlfriend, of course on his bike, but his girlfriend was rolling a giant suitcase with her. No problem. His girlfriend hopped on the back of the bike and he took off, turning through a busy intersection while rolling the suitcase behind him with one hand. Middleburg’s market square provided the setting for the final display of Dutch bike riding skill, and combined the activity with another local pastime—smoking. In the most impressive demonstration of my visit, two Dutch girls balanced on a bike, one driving and the other on the back seat, with cigarettes between their lips. Without a toe on the ground and barely creeping forward, the two ladies proceeded to light their cigarettes simultaneously before wobbling out of the square. My advisor was right. There are plenty of bikes in Holland and Kearney has some of its own. Despite the similarity, I have never seen anyone here light up a cigarette on two wheels. Rick and Ilsa’s WWII love story made Casablanca an all time great movie, but younger audiences have trouble adjusting to the dated dialogue and black and white filming. To modernize the classic love story, Casablanca went the way of so many Disney creations and put the show on ice. The result was the 2001 fan favorite (5.9/10 stars on imbd.com) snowboarding classic Out Cold that turned the 1942 wartime romance into a lighthearted comedy and gave one now famous actor his first major part on the silver screen. Rick, played by Jason London from Dazed and Confused, and Anna, played by Caroline Dhavernas, are the movie’s ex-lovers who spent a vacation in Cancun, Mexico before Anna split and Rick returned to his job at Bull Mountain, a ski resort in Alaska. Anna reenters Rick’s life when her dad shows up to buy the mountain and turn it into a five-star ski resort, firing all Rick’s friends in the process. Bull Mountain is full of crazy and lovable characters but Zach Galifianakis was a riot as Rick’s friend Luke. Luke is known for his over the top antics which he happily puts on display throughout the movie. In one sequence Luke snowboards off a roof to steal the attention of the voluptuous Inga, played by the 2002 Maxim Women of the Year Victoria Silvstedt. Eventually he takes her to a hot tub where he ends up spending a cold and painful night alone that earns him the nickname ‘Jacuzzi Casanova’ . Galifainakis is at his best as the victim of pranks, which are primarily orchestrated by his burnout brother Pig Pen. Luke is forced to endure the sexual advances of a polar bar and put at the wheel of a spinning car while asleep thanks to Pig Pen’s schemes. On one moonlit mountain night, the Bull Mountain staff set out to crown the annual ‘King of the Mountain.’ To earn the title the group competes in a rule free race, where cheating is encouraged and the winner must reach the bottom of the mountain first, with beer in his glass. Rick fittingly wins the challenge and walks off with his local crush Jenny, while Luke is left getting humped by Pig Pen, until the affection escalates into a humorous brawl. Galifianakis may have been left rough housing in the snow with his brother, while Rick got the girl, but in real life he was Out Cold’s biggest winner. In action scenes, love scenes, and even bar scenes he showed his comedic exploits could translate to a variety of situations. With his high energy mix of crude and witty humor the role of Luke was an ideal stepping stone in Galifainakis’ career. Luke from Out Cold was an early glimpse at the comedic film star Galifainakis would become. He has taken similar characters to box office success in The Hangover, Dinner for Schmucks, and Due Date. Given his performance in Out Cold it’s no surprise Galifainakis has moved on to bigger and better movies, or that Out Cold turned out to be a pretty entertaining and frosty twist on one of cinema’s all time great classic love stories. Mothers are lucky in Nebraska. When their sons go out for the evening, they come back. Mothers in Colombia are not always so lucky. After hours of driving, our delegation met in Villavicencio with union leaders, human rights lawyers and victims of the violence from the country’s ongoing conflict. Victims gave personal testimonies of the atrocities each suffered, all with one thing in common­-the ones responsible for the murder, disappearance and even torture of the victims’ relatives were members of the Colombian military. “Unfortunately in this country, the Colombian state is the greatest violator of human rights,” human rights attorney Carolina Hoyos-Villamil said. One woman shared the story of her son, 22, who was in the middle of his term of obligatory military service with the Colombian army. While visiting his home, a friend invited him to go downtown for a beer. He never came home that night. Days later, a friend of the woman told her that her son had been at a restaurant, between two men in Military outfits, and could not control his arms or posture in the chair, as if he had been drugged. Without this knowledge she was growing worried and began to look for her son all over town. After days of repeated assurances not to worry from the DAS, an organization similar to our FBI, they claimed that her son was a guerrilla­­­, a member of an insurgency group. It would cost 100,000 pesos for the return of her son’s body, but a proper burial was extremely important. The wake was attended by friends and family, as well as two strangers. These men questioned many of the guests and eventually called the boy’s uncle away from the crowd. They told him that if the family tried to sue, the first person to be killed would be the victim’s mom. From the channel that got you to watch The 650-Pound Virgin, Addicted, and Little People, Big Word, comes a whole new season of reality based cultural delights. Where you see the pain and struggle of Addiction, gluttony and birth defects we see a healthy business model. Have you ever slowed down to ogle a car wreck on the side of the road? Thanks to TLC, you can now stare at wreckage all day long, and you don’t even need a car. 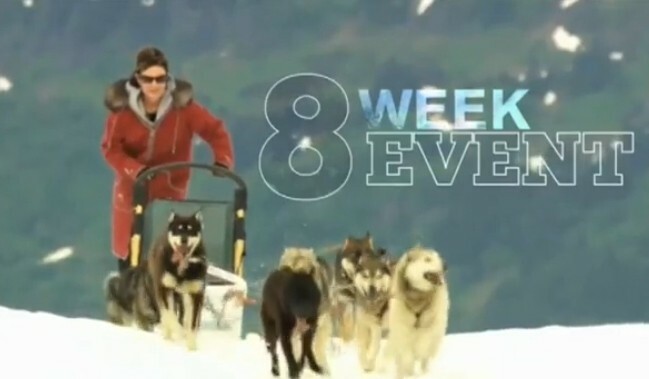 Summer is going to be a scorcher at TLC, due in no small part to the smoking hot new show set in the snow-covered wilderness, Sarah Palin’s Alaska. If you like to see politicians and celebrities out of water, check out how entertaining putting one in the snow can be. Completely unrelated to the Palins is our next hit show, I didn’t know I was pregnant. Have you ever wondered how a woman could carry a baby to term without noticing she was pregnant? So did we, so we decided to put it on film. Unfortunately, we had trouble finding pregnant women who did not know they were pregnant before delivery, and we had to settle for dramatic reenactments. Finally, the show with a following so dedicated it’s a doctor’s note away from obsessive, My Strange Addiction. Better than the time you accidentally walked into a narcotics anonymous meeting and the time sat through an alcoholics anonymous meeting combined, plus it still meets every week. It’s like a 12 step program for anybody with half an hour to kill. While you’re sitting on your couch this summer, let us into your living room, and we’ll give TLC a whole new meaning. I was trolling around the internet today, searching for some good video commentaries, and I came home with four. Now, some people might think this search was fruitless, but I encourage you to watch all four videos in their entirety. First up is a youtube video from the world renowned sigafoo. His video takes a how to angle and aims to pass on the golden rules of creating a successful video blog on to you. I assume this is pretty much what was discussed in class Thursday. Given my obvious struggles to find a video commentary worth posting, I decided to show a hometown hero next. The Kearney Hub’s Cody Riedel writes Casual Sports Fan, which includes some video commentary. In the first video Cody wears a wrestling singlet and if you can fight through the Scottish accent, the second video has a best of clip at the end. Finally I wanted to add a parody commercial about GM. The commercial address the bailout money spend on the company. I’ve been writing a parody commercial of my own, so hopefully this gets us in the right mindset.